Aikido is a particularly good discipline for children. The training will help your child develop many life skills such as physical coordination balance and timing coupled with a calm and controlled attitude. Much of Aikido training takes place with a partner, this teaches your child how to interact with others, building social skills. A valuable lesson for life. Many studies have shown that phyiscal and mental activities such as Aikido can help with a childs education. 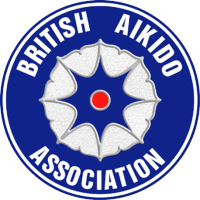 As a member of the British Aikido Association we have access to both national and international competitions for juniors who wish to compete. 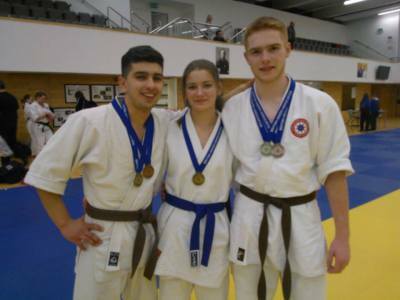 Essex Aikido Dojo (Shoshinkan) has produced both Junior-Youth national champions and bronze medalists in the WSAF World Aikido Championships. Although many of our instructors hold coach awards from the BAA, Shaun Hoddy Sensei also holds a TQUK Level 3 teaching qualification, First Aid Training Teaching Qualification and is qualified to Graduate IOSH level in Occupational Safety & Health. 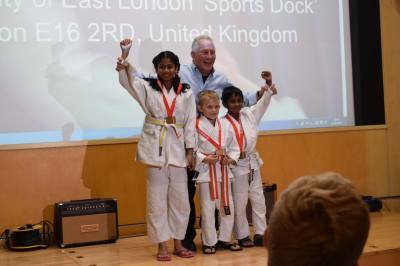 It is a great honour and privilege to be a Martial Arts instructor. I teach balanced structured classes that follow traditional Japanese etiquette. I am a firm believer that Aikido should be fun. My philosophy is to develop the best you, that you can be. 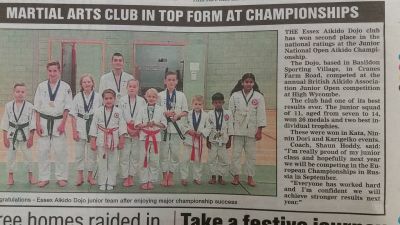 ​Helping young people to become the best you that you can be. Katie Tanner awarded under 12 individual trophy. Shalini Khanna gave an outstanding performance for the club.